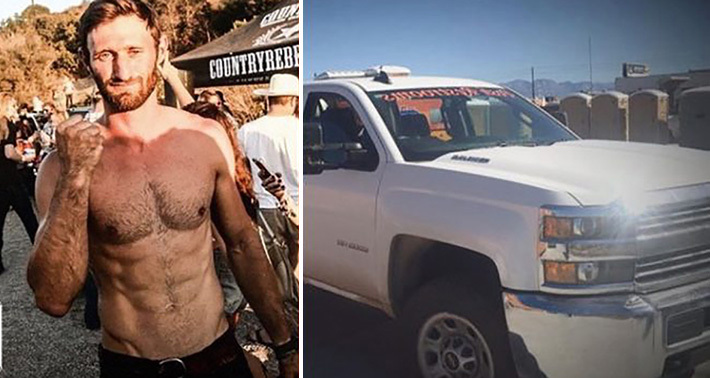 A marine veteran saved dozens of lives during the recent Las Vegas shooting. Many lives were lost during the Las Vegas shooting that happened during a country song concert across the Mandalay Bay Resort and Casino in Las Vegas. Despite being fired continuously and seeing victims wounded, a hero emerged in the shooting incident. With no fear in mind, Taylor Winston who is a marine veteran, who attended the concert with his girlfriend became heroes during the shooting as they saved dozens of wounded victims while the gunman continued to fire shots on them. But there’s a surprising twist before the two heroes saved the victims lives. Read more about their heroic deed below. Marine veteran Taylor Winston and his girlfriend were dancing at the Route 91 Harvest country music festival in Las Vegas when the gunfire began. Instead of fleeing the scene of the deadliest mass shooting in modern U.S. history, he stole a nearby truck and drove more than two dozen victims to the hospital. Winston says he found a truck nearby with the keys in it and commandeered it to drive the injured to the hospital. He filled the truck with as many wounded as he could fit and transported them to the hospital, making numerous trips back and forth, crediting his quick decision-making to his time in the Marines. 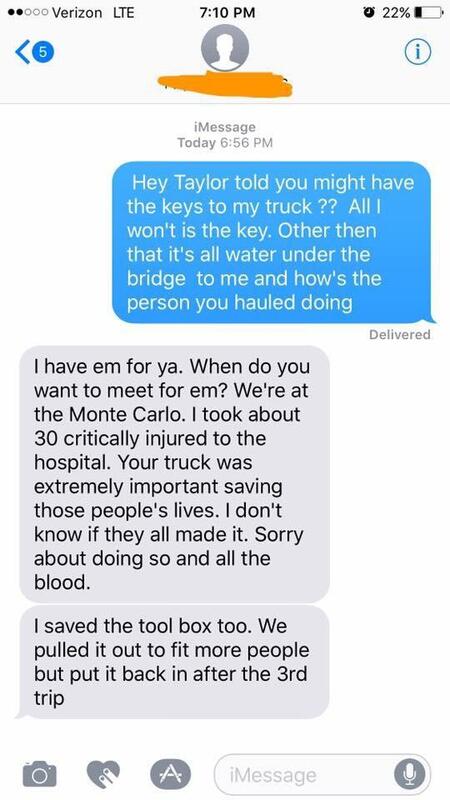 Three days later, the 29-year-old Iraq War veteran received a text from the man that he ‘stole’ the contracting truck from. Watch the news video below.